Communicating with your clients is a vital aspect when it comes to a business. It definitely makes a big difference about how you are going to be seen as a business entity. 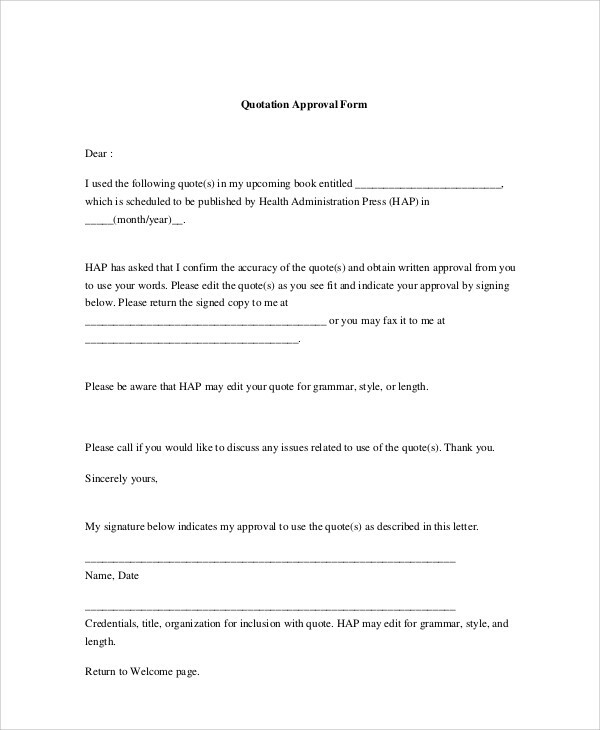 Business letters follow a certain format, so you have to make sure that you adhere to this. 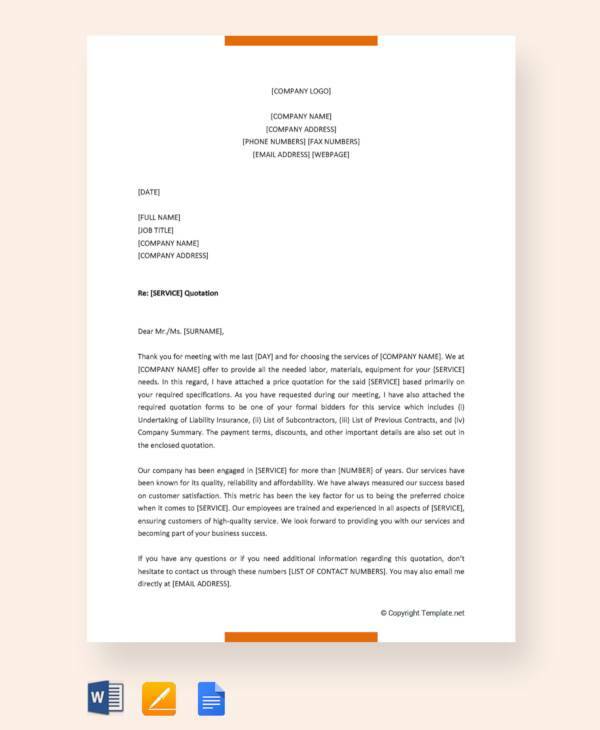 Using a business letter can help you get your message across better in a formal manner. This ensures that what you are trying to convey is clearly understood. 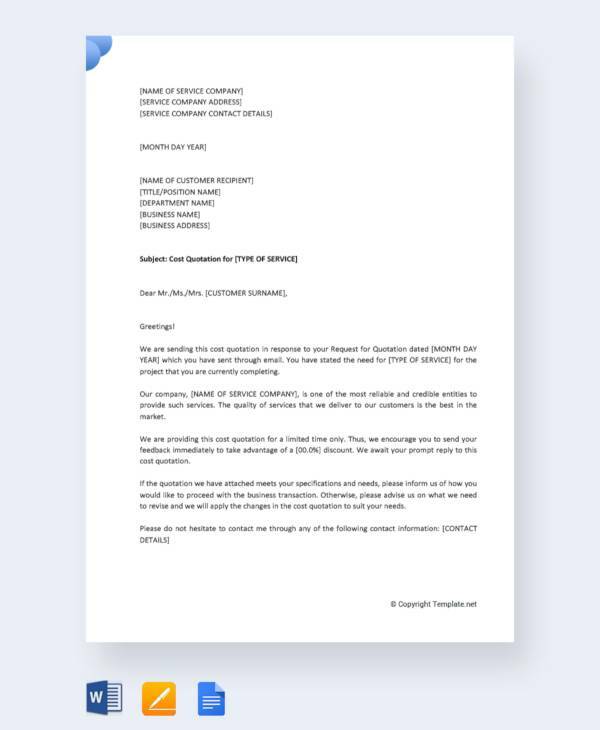 When a potential client requests for a quote on the costs of your services or products, be sure that you are ready to give him/her a quotation letter. 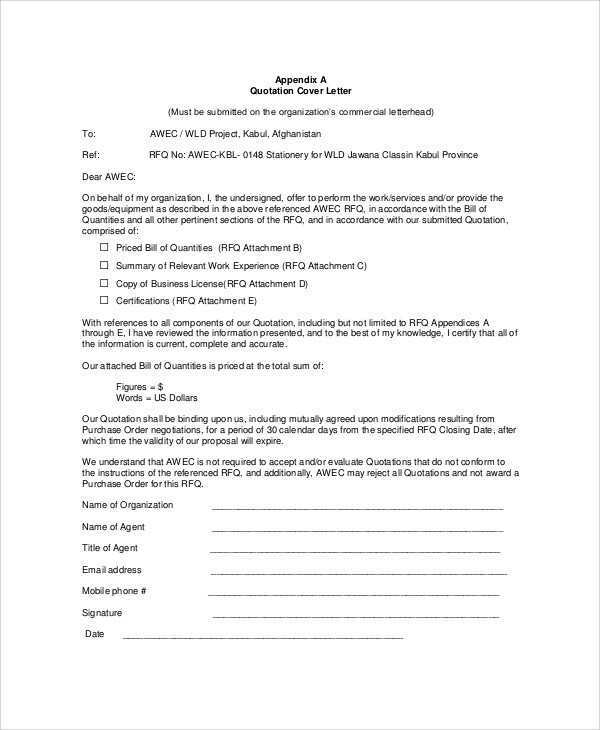 Here are a few tips to keep in mind when it comes to writing your quotation letter. 1. 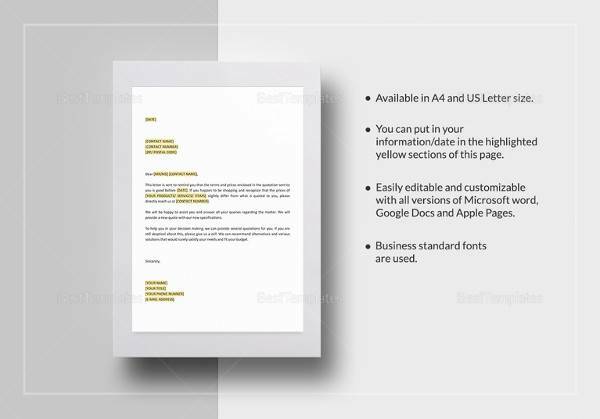 Make sure to follow a block format since this is a business letter (see business letter samples). 2. Be sure you are able to address the client correctly and spell his/her name properly. Use proper titles such as Mr., Ms., Mrs., Dr., Engr., etc. 3. 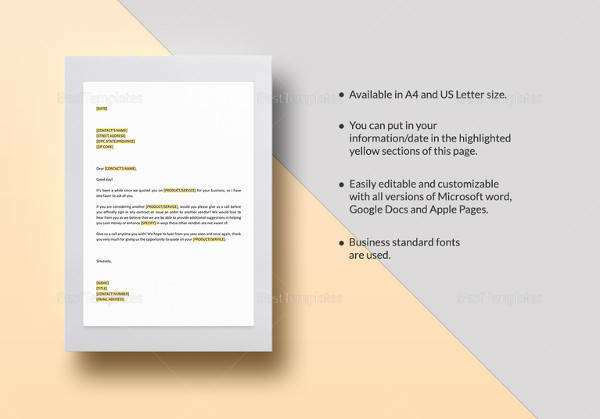 Mention the purpose why you are writing the letter and give a short description of the quotations included in the letter to help the client understand your letter better. 4. 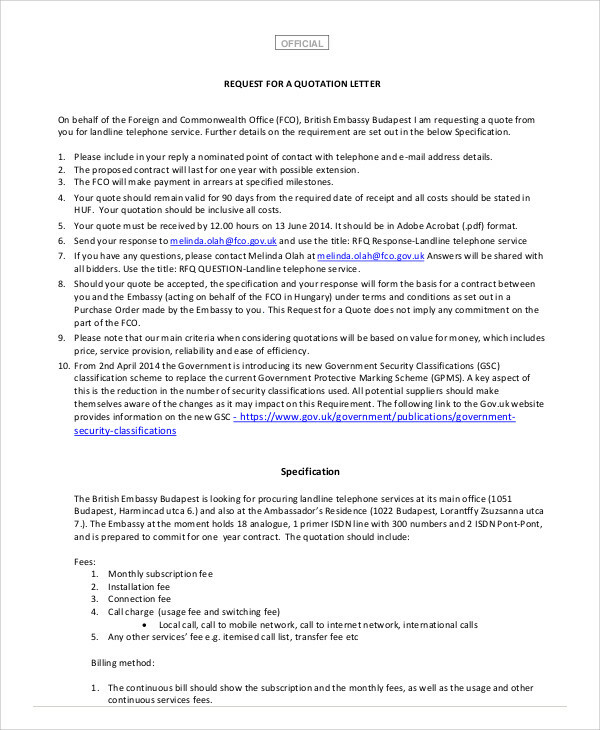 Elaborate in detail the goal of your quotation letter. Avoid swaying away from the important details and focus solely on what your letter is about. 5. Show your appreciation to the recipient by simply saying thank you for allotting a little bit of their time to read your letter.You may also see consultant quotations. 6. If you have any additional documents to attach, do not hesitate to do so. You can send your clients a form where they can indicate which services or products they will avail.You may also see builder quotations. 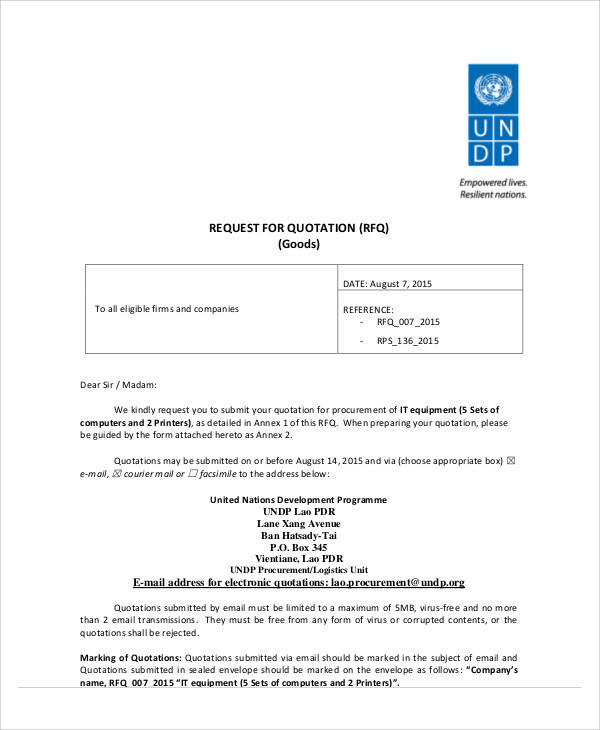 Who Can Use Quotation Letter Samples? 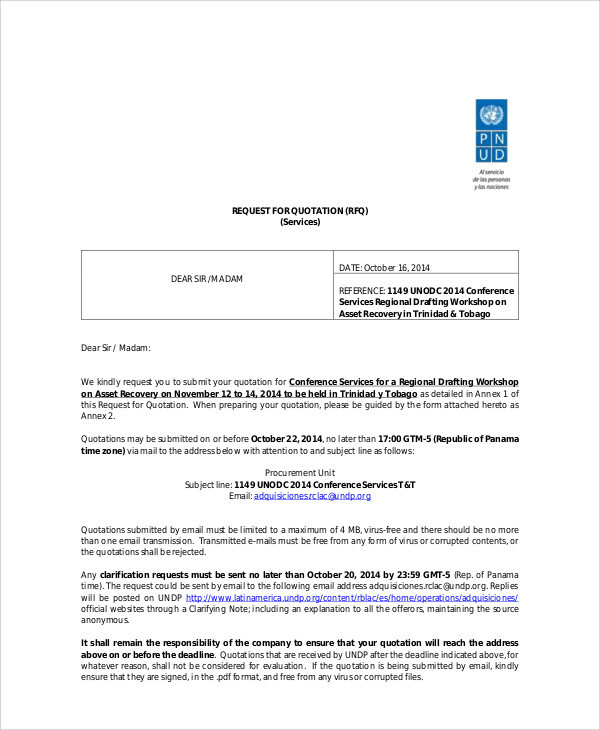 Startup companies and established business can make use of quotation letters, especially if they want to win the client over in order to get the project. 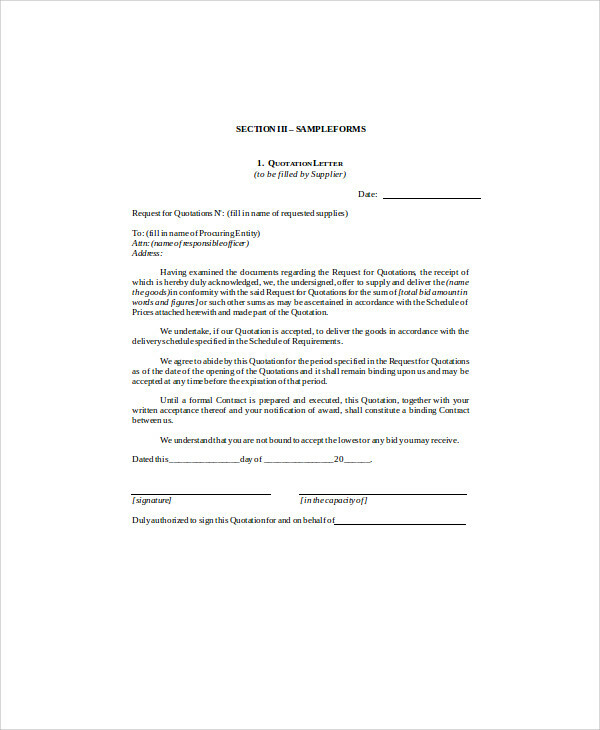 Using the templates will help the company write on that will be convincing, formal, and professional. 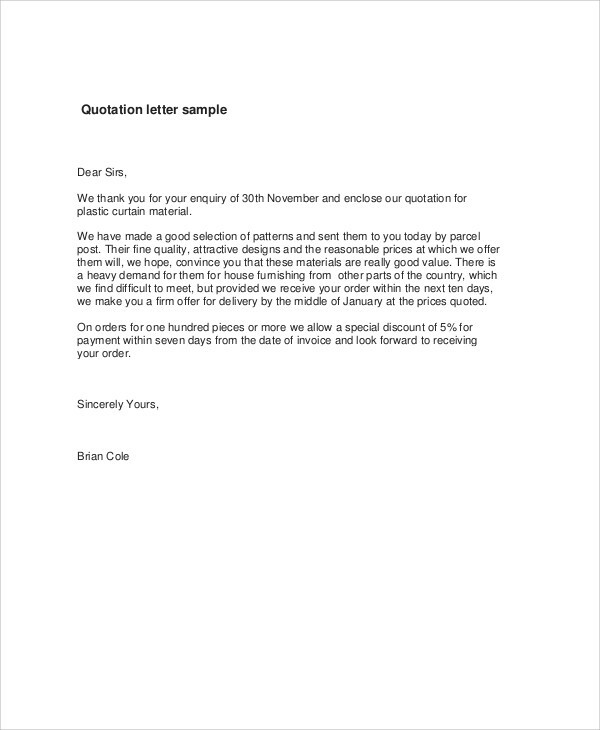 If a quotation letter is badly written, you will definitely lose the opportunity of turning a potential client into a constantly returning one. 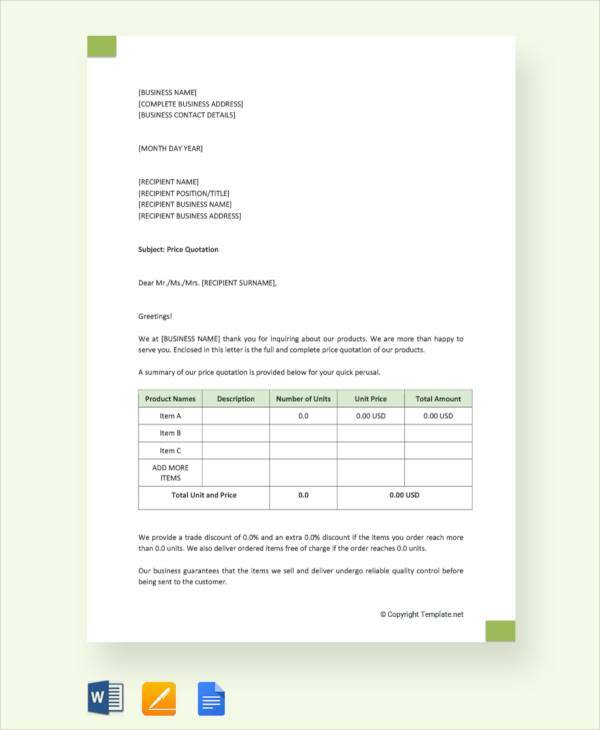 Therefore, with the help of these price quotation samples, you will be able to create a letter that will be top-notch in quality. 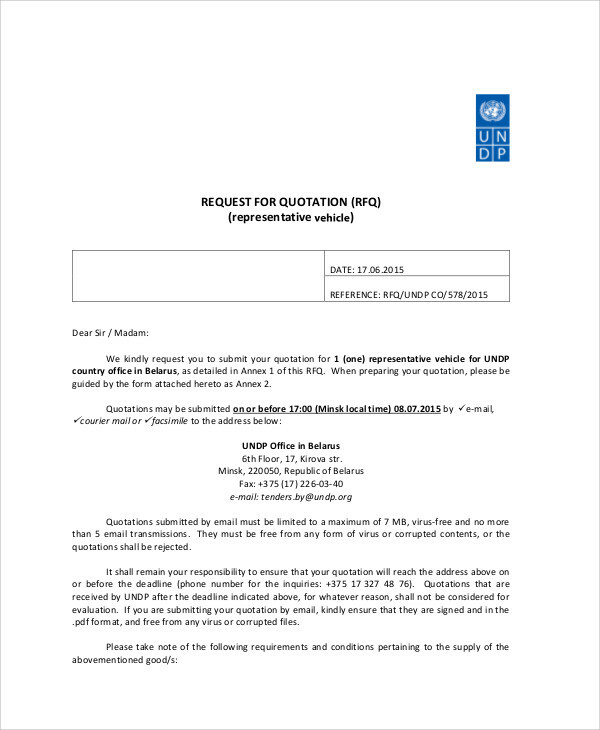 Why Use Quotation Letter Samples? 1. 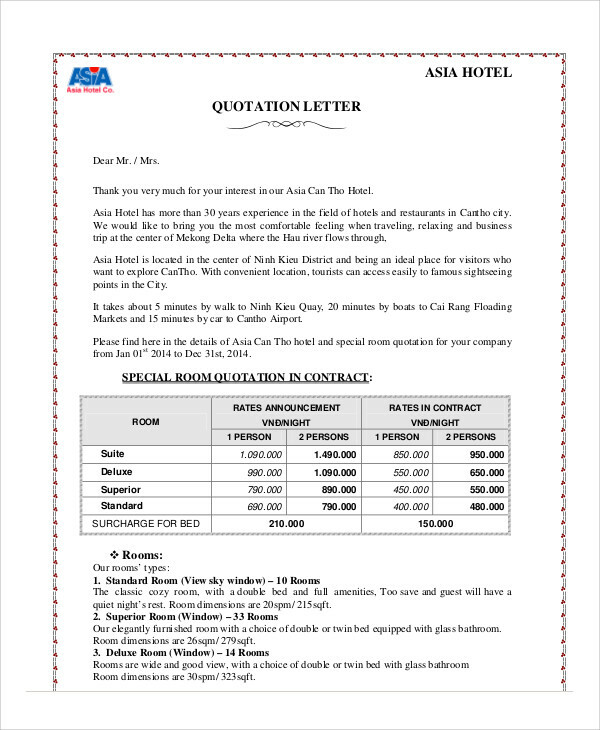 The sample quotation letters in this article can be used by different industries to attract potential clients to avail of their offers. 2. The templates are all accessible in this article and can be directly downloaded by just simply clicking the DOWNLOAD button. They can also be downloaded free of charge.You may also see construction quotations. 3. There are nine samples in this article. Each template comes with different layouts and designs. 4. The templates come in PDF (.pdf) and Word Document (.doc) format, which are easy to store on your computer, mobile device, and storage devices.You may also see repair quotations. 5. Editing will be easy since the formats these documents come in are highly compatible with many devices. You can edit each according to the needs of your business or clients.You may also see sales quotations.